We’re here to give you all the information you need about this breed mix. 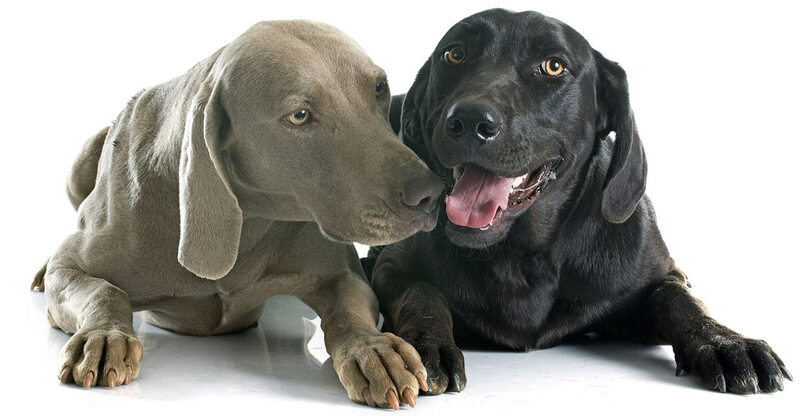 Helping you to decide whether a Weimaraner Labrador cross might be the right dog for you. 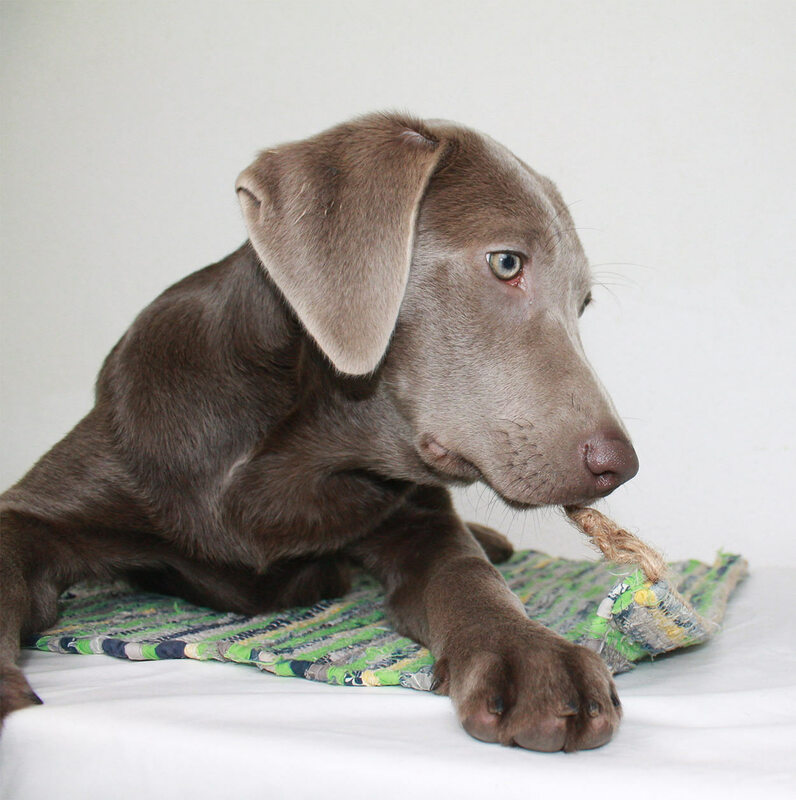 As the name suggests, the Weimaraner Lab is a cross breed of Weimaraner x Labrador. They are both energetic but loyal breeds, with a rich history as working dogs. But these days you will frequently also see Weimaraners and Labs as pets too. If you adore both of these fun loving breeds equally, it is understandable that you might be considering getting a combination of the two. But what are the implications in terms of apperance, health and temperament of a Weimaraner Lab mix puppy? Are there any downsides to have a first generation cross? As the popularity of cross breeding dogs rises, it’s important to note the controversy surrounding “designer dogs”. There is much debate over the ethical issues surrounding “designer dogs”, or crossbreeds. There are typically two sides to this debate: dog breeders and owners who are confident in the benefits of cross breeding, and pedigree advocates that prefer the consistency and simplicity that comes with pedigree breeds. Some fans of the pedigree claim that cross breeding is too often akin to “playing God”, with inexperienced breeders creating new breeds with their own set of potential health problems. But every breed we have today started somewhere, and involved crossing with others at some point in history. And advocates of mixes claim that cross-breeding dogs helps to eliminate some of the potential health problems that years of inbreeding can create. They point to the “hybrid vigor” phenomenon, explaining that genetic diversity can lead to positive health attributes in hybrid dogs. Ultimately, in the battle of purebred vs mutt, much comes down to how the dog was bred, the knowledge and care of the breeder, and the genetics of the origin breeds. Certain crossbreeds are notorious for health and behavioral problems, which is why it’s so essential to research the breed before getting a dog. 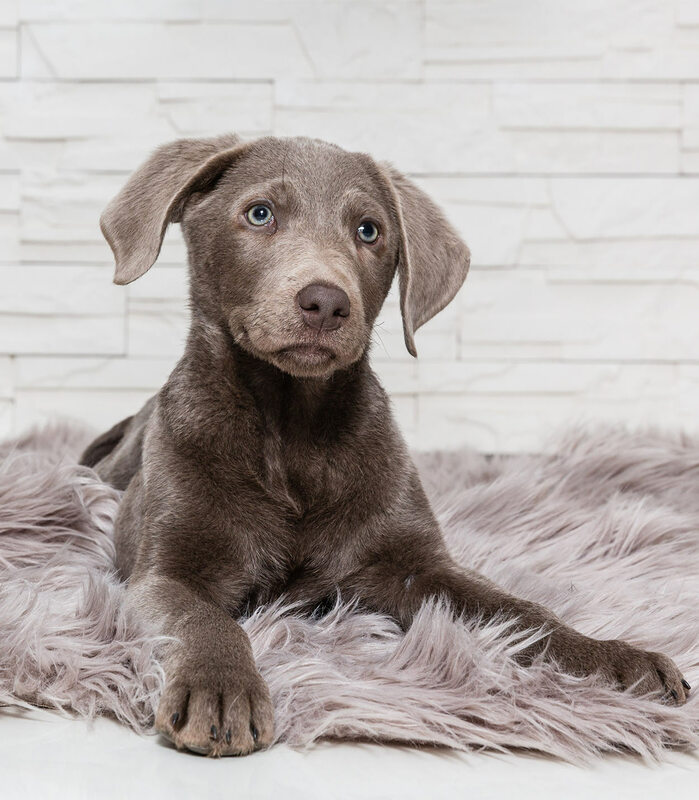 In the case of the Weimaraner Lab mix, the common health issues are minimal and health tests are avaiable for the parents which can improve your odds. A potential issue to consider with any crossbreed is that there will always be some level of unpredictability. You can look at the characteristics of the parents, but the resulting cross is not guaranteed to inherit those characteristics. At times, the resulting mixture can produce unexpected results. 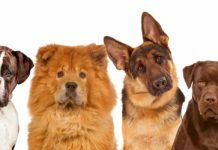 While keeping in mind the controversies surrounding hybrid dog breeds, it’s also important to consider the fact that most dogs are in fact cross breeds. You can look at a list of what the AKC considers “pure breed” dogs, but in reality, most of these breeds did not evolve naturally. Their genetic lines were inevitably crossed at some point in history. Crosses are inevitable, with or without human intervention. And although the popularity of cross breeding dogs is on the rise, it’s good to keep in mind that it’s not a new phenomenon. 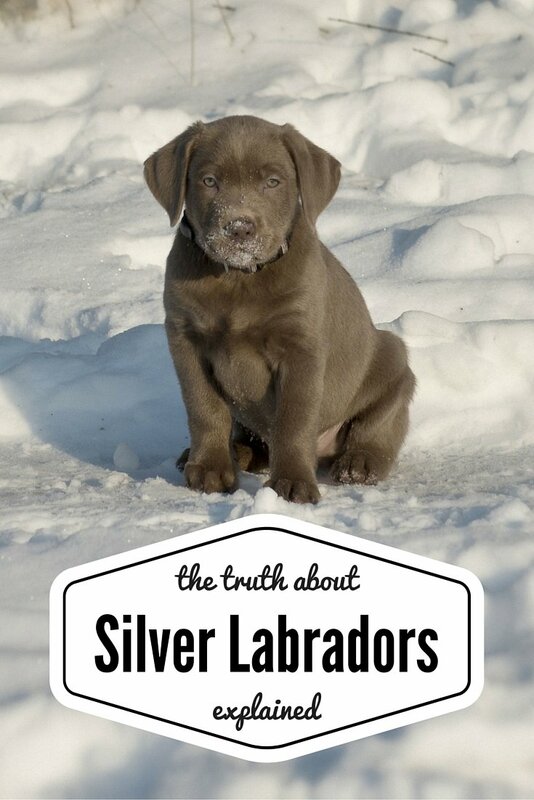 Some people even believe that silver Labs are descended from the Weimaraner, although this theory is unproven. You can find out more about this fascinating debate in our guide to silver Labs here. However, for now let’s stick to the mix at hand – the Weimaraner Lab mix to be exact! To find out where this cross came from, we need to look at the parents separately first. The Weimaraner’s origin dates back to nineteenth century Germany, when noblemen bred the variety in the town of Weimar, Germany. The Weimaraner was bred to be a hunting dog, and therefore their origins have root in breeds like the Bloodhound, the German Shorthaired Pointer, the English Pointer, the silver-gray Huehnerhund, and the blue Great Dane. The breed slowly made its way to the Americas, but their popularity exploded after many Weimaraner pups were brought back from Germany after the end of World War II. 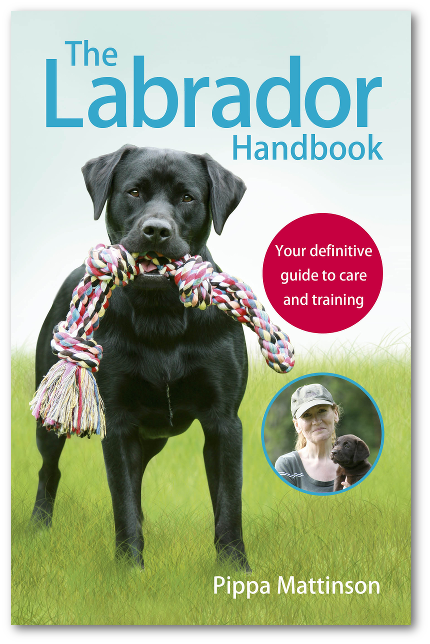 The Labrador breed has a long and storied history. They are descended from the St. John’s dog, which is thought to have originated in Newfoundland in the 1800’s. The St. John’s dog was a fishing dog by nature, and is thought to be a direct ancestor of the modern Labrador. The Labradors we know and love today first came about thanks to the handiwork of two English aristocrats: the 5th Duke of Buccleuch, and the the 2nd Earl of Malmesbury. Labradors were favored by wealthy aristocrats in their early days, before becoming one of the most popular breeds in the modern age. The Weimaraner and Lab mix came to existence here in the United States, when the two origin breeds were crossed. Today, the Lab Weimaraner is a rare but beautiful crossbreed that is highly sought after. But what kind of pet does the Weimaraner Lab mix make? 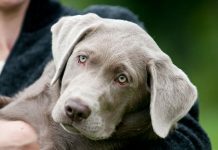 The Weimaraner x Labrador will take on the characteristics of its parent breeds – but as with any mix, the results may vary. Looking at the Weimaraner, the height span is 23-27 inches, with weight between 55 and 90 lbs. The Labrador is a bit smaller, with a height of 21.5 to 24.5 inches, and a weight between 55 and 80 lbs. You could assume that a Weimaraner Black Lab mix would fall in a similar weight and height class based on these figures. However, in reality they could be at the Lab minimum or Weimaraner maximum. As for appearance, the Labmaraner is a beautiful dog. It has long legs, a glossy coat, and a strong, muscular frame. It’s face tends to take on more of the attributes of a Weimaraner, while its paws often feature the webbed characteristics of the Labrador. The Lab Weimaraner mix tends to have a short, single-layered coat. Longer coats are possible, but are rare. The glossy coat can range in color from brown or black to yellow or gray, depending on the color of the pup’s parents. Labrador Weimaraner mixes are very active dogs that tend to have a lot of energy. Since both parent breeds are fairly high-energy, you can count on your Labmaraner having an active personality. These dogs tend to be very loyal and loving, as you would expect from the origin breeds. They are great with kids, and generally make excellent family pets. Their friendly temperament means that although they are likely to bark to alert their owners of an intruder – before running over to get their belly rubbed by said intruder. Labradors suffer from separation anxiety and can become destructive if left alone too long, so we wouldn’t recommend a Lab or Lab mix to someone who is out of the house for much of the day. Labs are also often friendly to the point of being quite pushy, a characteristic that you are less likely to see in a Weimaraner. You won’t know until your pup is older whether this is a trait your pup will exhibit or not. Again, as with any mix, the behavioral characteristics you get from a Weimaraner cross Lab will vary greatly. There’s no guarantee with crossbreeds, as they can take on more or less characteristics from either parent breed. Since Weimaraner and Lab mix dogs have relatively short coats, their grooming requirements are fairly light. Brushing once a week or so should be sufficient. However, Labradors are prolific shedders, and can molt a great deal. Although Weimaraners shed less, their mix could go either way. So be prepared for either eventuality. Any mixed breed dog will be susceptible to inheriting the health issues of the parent breeds. There’s no guarantee one way or the other, but it’s important to be aware of any potential health problems before you get a dog. On the Weimaraner side, potential health problems include hypertrophic osteodystrophy (a bone disease) , spinal dysraphism (a spinal deformity that can lead to neurological abnormalities) , hyperuricosuria (a condition that can lead to bladder and kidney stones) , and hypomyelination (a condition that can lead to tremors in puppies). Other potential problems include hemophilia A, distichiasis, canine hip dysplasia, and von Willebrand’s disease. In rare cases, gastric torsion has been observed in Weimaraners. 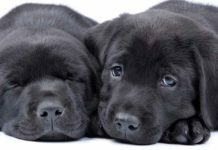 For Labradors, health problems typically include eye problems, joint problems, obesity, and cancer. These issues can be inherited from parents, created via the dog’s environment, or a combination of the two. While generally healthy pups, one of the most common issues with Labs include hip dysplasia and elbow dysplasia. These are genetic traits, but can be moderated with proper feeding and exercise habits. Labradors may also be prone to obesity and related concerns, including diabetes and arthritis. These factors can typically be controlled by proper feeding habits and regular exercise. Labradors may be prone to cancer, particularly in their old age. It’s important to screen regularly for cancer early warning signs. 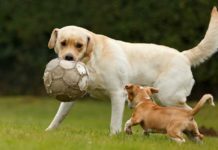 Other potential Lab health problems can include patellar luxation, distichiasis, exercise-induced collapse, muscular dystrophy, tricuspid valve dysplasia, retinal dysplasia, entropion, central progressive retinal atrophy, cataracts, and hypothyroidism. 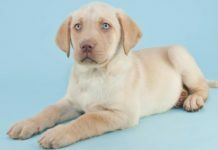 When searching for Weimaraner Lab mix puppies, it’s very important that you be aware of the potential health problems. It’s also essential that you ensure that the breeder has tested both parents for any potential genetic defects or disease markers. The Lab parent should have as a minimum a recent clear eye test, good hip and elbow scores, as well as a PRA clear DNA test. The Weimaraner parent should also have good hip scores and have had their eyes checked by a vet. 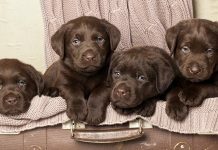 Whether you get a Chocolate Lab Weimaraner mix or a Weimaraner x Black Lab mix, it’s important to understand that mixed breeds are always unpredictable in nature. Your pup might be prone to the health issues of either parent, and it may take on more or less of the characteristics of either parent. With mixed breeds, there’s really no way to tell what you’re going to get. Lab Weimaraner mixes are typically happy, social dogs, but they need to be socialized early for best results. The ideal socialization window for young dogs is typically between 8 and 16 weeks of age. This is the period where your pup will be most open to new experiences, and less fearful of larger dogs and unfamiliar humans. Older dogs can certainly be socialized, but it’s a longer, slower process. Keep in mind that socialization needs to happen with other dogs, and with other people. As for training, Labradors are generally eager to please. They respond very well to positive reinforcement training with treats. Weimaraners are a bit more strong-willed than labradors, which can make training a bit more difficult. Adult Weimaraners can have a stubborn streak, so it’s vital to start training early. Typically the first 20 months of a dog’s life are the prime time for training, when the dog is most willing and able to learn. Lab Weimaraners should be trained early and often for best results. As they are both sporting dog breeds with the potential for prey drive, recall training from a young age is essential. Weimaraner Labrador crosses are highly energetic dogs. Thus, they will thrive in homes that allow for ample playtime and exercise. Both parent breeds can have separation anxiety issues, so it’s important to inspire a sense of independence in your pup from a young age. Due to their high energy and potentially anxious nature, this is not a breed that will do well with an owner who works full time and is not at home much. They also like a lot of space, so apartment-dwellers might think twice about this breed. That said, Weimaraner Labs make fantastic family dogs. They are great with kids and adults alike. They are also a social breed, so they will be quite happy in multi-dog households. This can also help with their potential separation anxiety issues. While Labs are extremely common, Weimaraner’s are less so. And thus, the Weimaraner Lab cross is actually rather rare. Because of the rarity factor, it’s almost always necessary to buy your pup from a breeder. Finding one in a rescue situation will be quite difficult. When choosing a breeder, make sure to do your research. You want to identify a reputable breeder that is knowledgeable and kind to their pups. Ask if the breeder conducted any health testing on the parents, as the results of those tests could sway your decision.